The walk down to Peppercombe beach is as delightful as the beach itself. Starting at the Coach and Horses pub at Horns Cross (parking is for customers only so you’ll need to find somewhere safe to park on the main road) the path meanders through woodland for about a mile alongside a stream, past quaint cottages, down to a shingle and stone beach. With unique red cliffs and a tumbling waterfall, you won’t need a bucket and spade, just a picnic rug and a camera. Best for: walking, nature and exploring. A few miles further along the coast from Peppercombe, lies the ancient fishing hamlet of Buck’s Mills. Turn off the A39 and follow the winding road down to the visitor’s car park. From there it’s a short walk past picturesque cottages and down some steep steps to the secluded, rocky beach. As the tide goes out it reveals islands of sand, with plenty of space on which to unfurl a towel and set up base while you explore the rock pools, take a dip, or simply soak up the surroundings. Best for: fishing, swimming and beautiful views. An extension of Westward Ho! 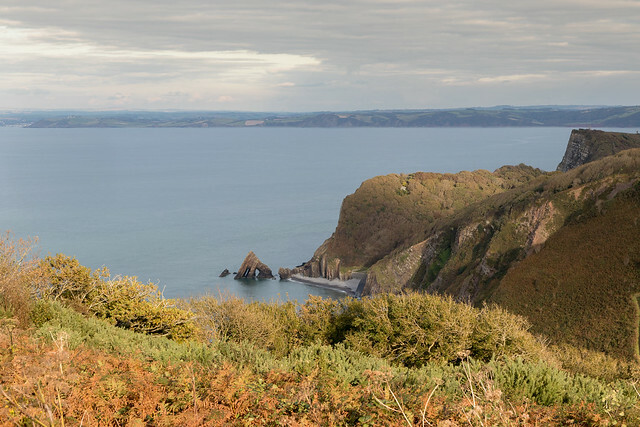 Sandymere lacks the crowds of its more famous other half and has the advantage of being dog-friendly all year round. Either take the toll road onto Northam Burrows, or walk along the beach until you reach the slipway leading to the life-guard hut, then carry on walking until you run out of people. 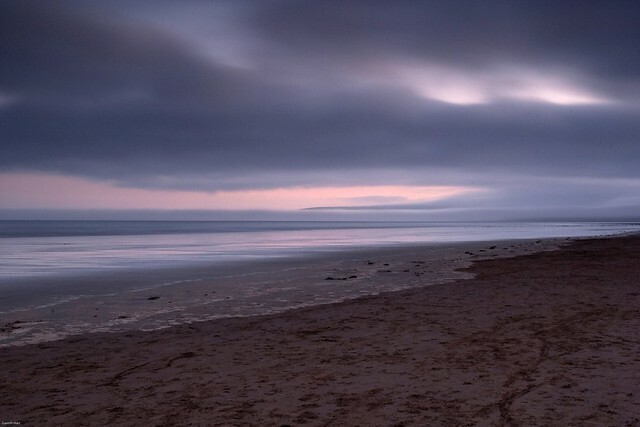 With views out to Lundy Island and Saunton Sands, the colours and light and are nothing short of inspirational, and at low tide, you can continue walking to Grey sands with Appledore in the distance. Best for: sand, sea and views. 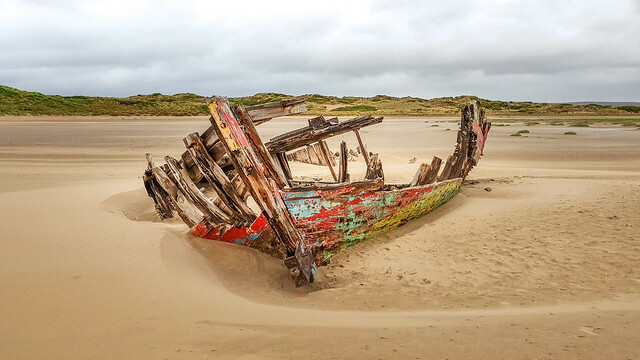 Situated between the beautiful, but oh-so-popular beaches of Putsborough and Woolacombe, lies the much less trodden Middle Beach. It’s amazing how few people are prepared to walk an extra 15 minutes for a private spot! But if you don’t mind lugging your cool box the extra half-mile or so, you’ll find the same glorious sand and sea, without the hoards. Alternatively, you can drive along Marine Drive, then take one of the tracks through the dunes down to the beach. Best for: buckets, spades and splashing. Nestled at the foot of rugged cliffs, beneath sheltering woodland, Woody Bay has a wild and rocky vibe. Situated three miles from Lynton, there’s a small car park from where you can take the steep path down to the bay itself. Or park at Heddon Valley and take the Coast Path. It’s a breathtaking route with woodland, waterfalls and wonderful views out to Wales. 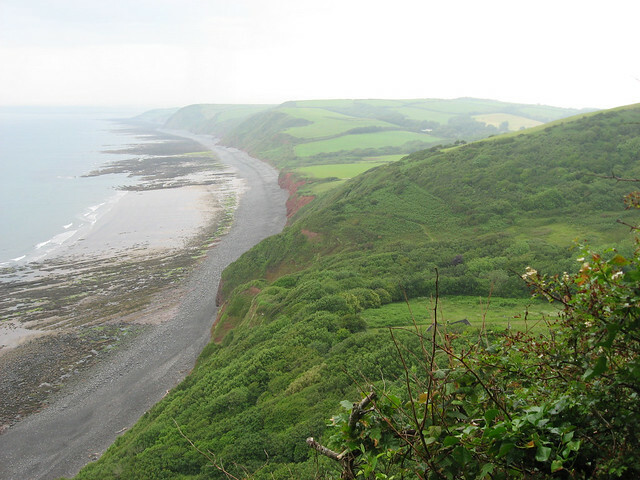 The final reward is the concealed, rocky beach of Woody Bay that begs to be explored. Just save some energy for the walk back! The total route is around six miles. Best for: walking and spectacular scenery. 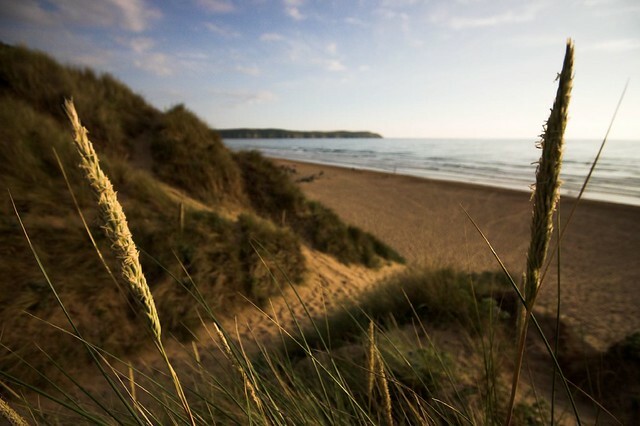 Just a few miles away from some of the hotspots like Saunton Sands, lies the more laid back location of Crow Point. Take the toll road at Braunton and from the car park, follow the boardwalk, past the shipwreck and onto the beach. With miles of crowd-free soft sand, Crow Point provides an unrivalled sense of space and solitude that has somehow escaped the attention of the visiting masses. Best for: peace and quiet, bird-spotting and feeling the sand between your toes. 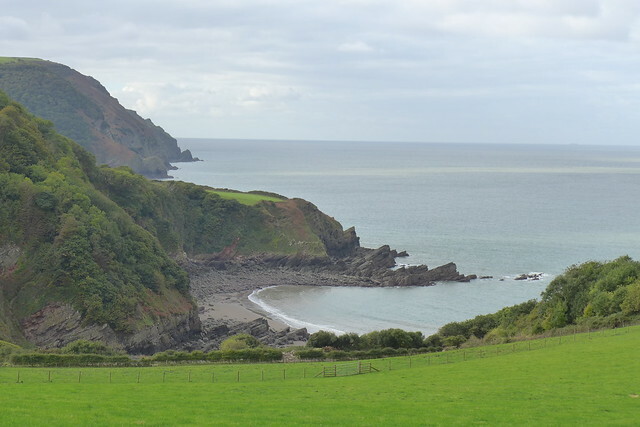 Hidden along the Hartland coastline, Mouthmill is a remote cove that’s worth visiting for the walk alone. Park at Brownsham Wood, then follow the path that takes you through fairy-tale woodland, over wooden bridges and bubbling streams, past an old lime kiln, until you emerge onto the rocky beach of Mouthmill. Laced with rock pools, it lies under the gaze of the dramatic Blackchurch Rock – a huge triangular shaped rock that looms up like a mysterious beast from the sea. Best for: enchanting woodland and dramatic coastal scenery. Close to Hartland and nestled in a beautiful valley, Blackpool Mouth provides a delightful sense of discovery – and a film-set location. 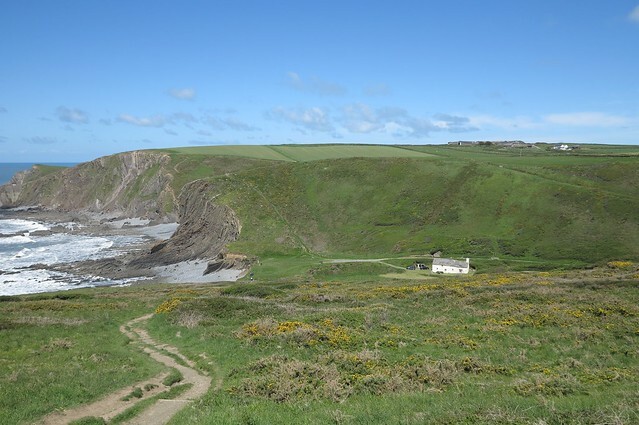 From St Nectan’s Church, Stoke, follow the footpath through ancient woodland, or park at Hartland Quay and take the Coast Path, taking in the dramatic views. 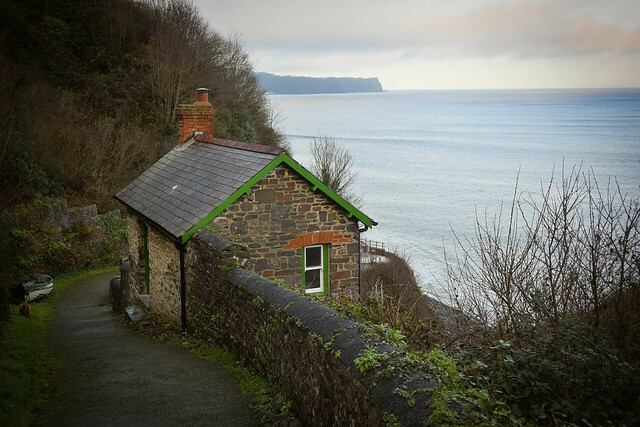 As you approach the sea there’s a ramshackle cottage which you may recognise from films such as Rosamunde Pilcher’s ‘The Shell Seekers’. The rock pool-strewn beach, which is scattered with runways of sand at low tide, is perfect for exploring. Best for: stunning scenery and a blissful sense of isolation.